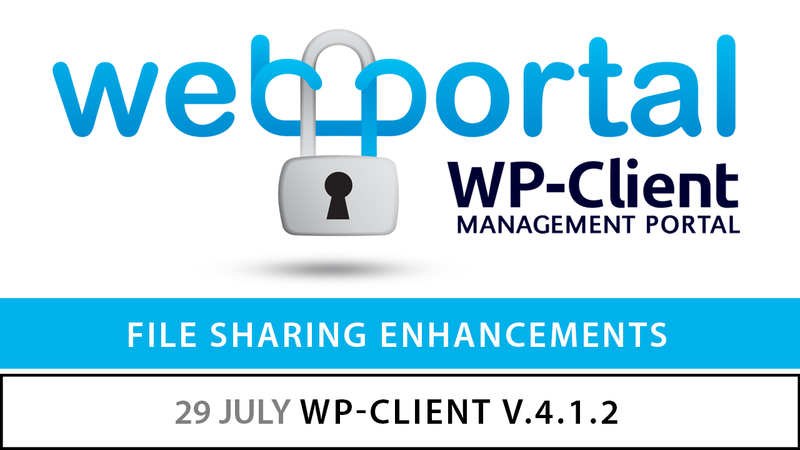 The latest round of updates for WP-Client have been focused on improving performance throughout the plugin, both in the frontend and backend. We have implemented several changes to file sharing, from fixes related to bulk downloading and viewing video files, to new sorting and filtering features and fixes in the various file lists and tables in the frontend. Additionally, we have made several improvements and changes to the Login/Logout Widget, including adding the option for placeholder text in the username and password fields. Also of note, we added some fixes in recent updates to help alleviate some issues that customers running IIS servers with required “/index.php” Permalinks were experiencing. Another useful addition in this update is related to WPC-Manager role capabilities. As of WP-Client v.4.1.1, we have added a new Capability setting for the WPC-Manager user role, which allows the admin to control whether or not WPC-Managers have access to the WP-Client tinyMCE button when editing pages. This tinyMCE button is the tool that you would use to insert WP-Client shortcodes and placeholders into pages and posts when editing. At the request of some of our customers who wanted to not allow their WPC-Managers this access, we have added a new setting for controlling this from your settings at WP-Client–>Settings–>Capabilities. This release also includes some bug fixes related to WPC-Managers accessing their own created Portal Pages, previewing pages and posts, using special characters in passwords, as well as some CSS and browser compatibility tweaks. A few other minor bugs have also been addressed, in addition to the normal streamlining and text updates.